The NoshGirl Party is Back – This Weekend! 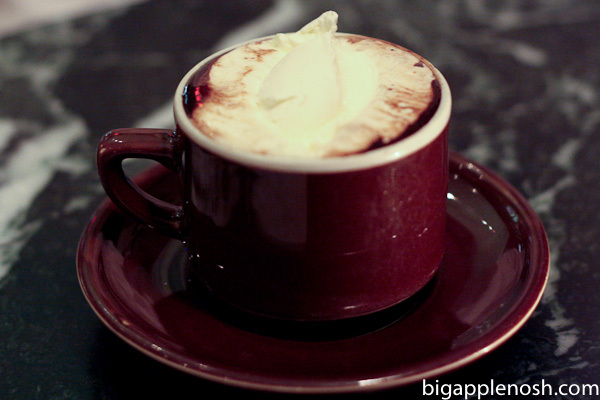 Mmm, I love hot cocoa on a chilly evening! Happy Wednesday, Noshers! This weekend, I’d like to resurrect a tradition here on the blog – the NoshGirl party! And yes – EVERYONE is invited – that means you! At previous parties, we devoured Weekend Breakfasts, Late Night Snacks, Frozen Yogurt and Summer Beverages. I can’t wait to see what you do with this month’s buzzfood! You want to know what it is? Any guesses? Here’s a reminder on how to attend! 1. This coming weekend (from Friday through Sunday night), participate in the party by eating the buzzfood – make sure to snap a photo of it! Next week I’ll consolidate all the photos into a super picture post-stravaganza! I’m SO excited to see what you come up with! What’s your favorite winter treat? Event Alert: NYC Wine & Food Festival – NOW! So fun! I was just thinking the other day that it would be fun to participate in another NoshGirl party 🙂 I love so many winter treats, but citrus-y desserts are my favorite this time of year. Sounds like fun! This week, I’m loving warm comfort foods like mac n’ cheese and cornbread. Oooh I like this theme! Yay! Love these and what a fun theme! Charlie & I will put our thinking oven mitts on. Hot Tottie? i don’t know that that is but it sounds like an appropriate winter treat! Yummy cocoa drink for winter. Have fun with the cold weather. I love it!